The former AIFF Elite Academy graduate played in every I-League fixture for the Warriors. 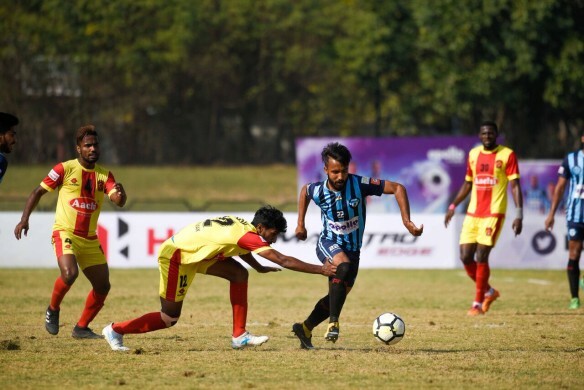 A fairy-tale run from being league minnows last year to winning the title this season, Minerva Punjab's story has inspired all football lovers in Punjab and in the country. Signing up relatively unknown names, several of these youngsters have proved to be an integral part of the club's title-winning campaign. 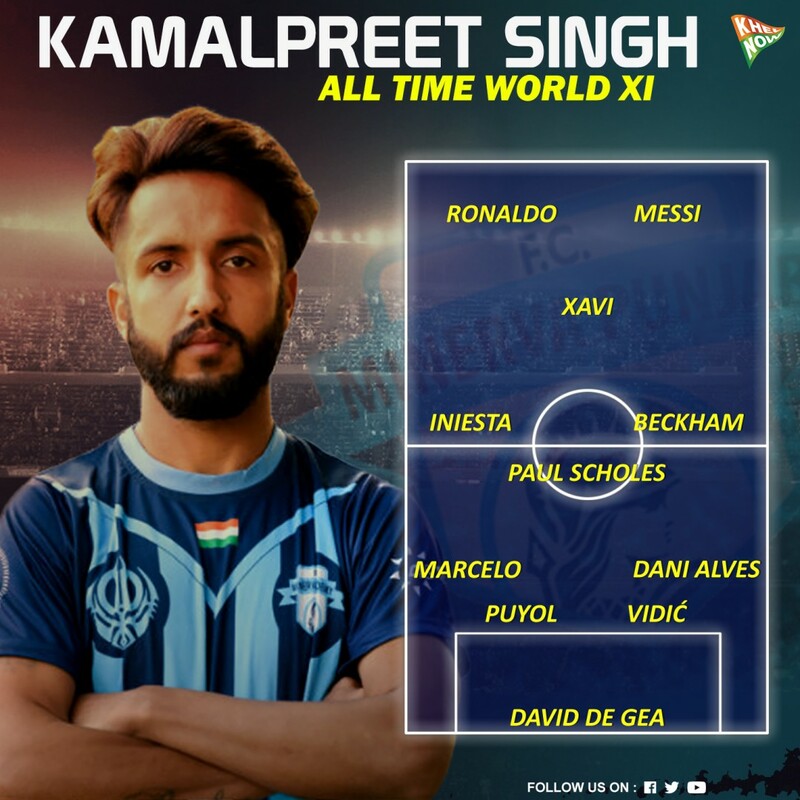 One such youngster, Kamalpreet Singh, actively participated throughout the entire season, helping his side not only to win, but also to script a story out of it. Q1. Tell us how you were introduced to the sport? A- I started playing football in my village ground. We have a beautiful football field there. I enjoyed playing football from the first day itself. I am so glad that my village (Sarabha) promotes football in a great way. Our village also organizes an open football tournament every year and its one of the biggest football tournaments in the state. Q2. At what time did you start look at football as a professional career option? A- I went for the trials of Chandigarh Football Academy and got selected for the U-12 football team and it was one of the best football academies at that time. That selection made me feel that I can do something in football that can make my life better. Q3. You are an AIFF Elite Academy product. How would you reflect on your time there? What makes the academy so good? A- I got selected for the AIFF U-16 Academy team and it made such a huge difference in my game. It took me to the next level in every aspect of the game. Q4. Let's talk about this season. At what point did you start believing that you could actually win the title? 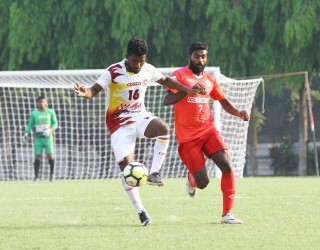 A- When we won all the three away matches against Gokulam [Kerala], Mohun Bagan and Shillong [Lajong] in a row, the dream started to reflect as something we can achieve. Q5. How has been your experience working with coach Khogen Singh? What would you like to say about him? A- It was his first season in the I-League and the way he handled it was great and I respect that so much. He is a very humble person. Q6. What has been the biggest secret behind Minerva's remarkable season? You were facing relegation last season and have won the title now. What has changed in the last 12 months? A- It was the team spirit and team’s unity that made us achieve such an amazing thing. But, the effort our owner Ranjit Bajaj put in for the club is so amazing that I don’t have any words to describe it. Q7. Let's talk about yourself. What do you consider as the biggest strength in your game? A- I believe that my hunger and my will to never give up even when we are losing in a game is what makes me different from others. Q8. What aspect of your game are you concentrating on improving? A- I am working on being more comfortable on the ball so that I can help my team in attack also. Q9. With many of the established players moving to ISL clubs, it has opened up opportunities for youngsters like you. Do you think this is a positive? A- Yes, it is a positive. Because now more players like me can get a chance and get to play in the ISL and can get to the next level. Q10. How was it playing in the I-League? Would you say it’s a tough league? A- The I-League is very tough and competitive. We won this season in the last match and everyone played with their hearts. Q11. Would you be open to offers from ISL clubs given your incredible season? A- Yes, obviously because I want to take my game to the next level and improve as a player as much as I can. Q12. Who is the Best player in the RB position, in India and the world? A. Rahul Bheke, Dani Alves. Q13. What do you think has been the biggest change in Indian football since you started playing as a professional? A- Now more players can make a good living out of football as a profession. Q14. You are somebody who came up through the academy structure? How important do you feel the academies are in the broader picture of youth system? A. Very important. As everyone can see so many young players are coming into the clubs through the academies.